Hi Everybody!! It's summer break and I have absolutely no excuse to not post. 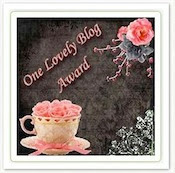 My little blog is going to be neglected no longer!! I have a lot to share with you all, so sit down, grab a snack, and enjoy the highlights of our weather unit. If you have read my blog you know that I am always on the search for interesting non fiction books. The books pictured above were a great introduction to weather. My kinders brainstormed about the different types of weather and I recorded it on the chart above. My class made mini books about the different types of weather. Good nonfiction books about clouds for this age level are hard to come by!!! So you can imagine my elation when I found these... I seriously feel like I hit the jackpot LOL! My kindergartners learned about the different types of clouds. The picture above shows my large science notebook that came with the science curriculum. My class came up with so many great adjectives to describe clouds! I recored their amazing adjectives on the chart pictured above. Abby at The Inspired Apple came up with all of these adorable cloud anchor charts. My kinders learned the names of each cloud and how to identify them. We looked up real pictures of what the clouds looked like so we could spot them. I used this FUN cloud experiment (courtesy of the blog Learning Ideas grades K-8) to wrap up our weather unit. I paired up my class and together they observed what happens when a cloud fills up with water. My kinders LOVED this experiment, and I loved hearing their conversations about why it rains! Lastly, we learned about the water cycle. We used this simple experiment to demonstrate how it works. Don't forget to check out BrainPOP jr.'s video on the water cycle!